If you’re looking to learn about all the top technology features in the 2019 INFINITI QX60, you’ve come to the right place. Your preferred Oklahoma City car dealership has all the info you need on the INFINITI QX60. You can also stop by Bob Moore INFINITI in Oklahoma City to experience all the tech features for yourself. Our Luxury INFINITI dealer is proud to serve drivers from Edmond, Oklahoma City, and the surrounding areas. Get behind the wheel of the new INFINITI QX60 and discover a premium interior built around the way you drive. The QX60 features the latest in innovative tech to keep you connected and focused on the road ahead. Best of all, the new INFINITI QX60 offers a number of standard features across all trims, so you won’t have to update in order to enjoy all of its cutting-edge technology. Want to take a closer look inside? Stop by Bob Moore INFINITI today for your test drive. Our luxury INFINITI dealer in Oklahoma City stocks an extensive selection of new INFINITI QX60 in different models and trims for your convenience. Prefer a more upgraded experience? No problem. Just because the INFINITI QX60 comes with tons of standard tech, that doesn’t mean you can’t upgrade. The INFINITI QX60 comes with a number of optional tech upgrades so you can customize your experience to how you drive. You can also further upgrade the tech offerings in your INFINITI QX60 by choosing from INFINITI’s available convenience and luxury packages. Stop by Bob Moore INFINITI today to learn all about the 2019 INFINITI QX60’s premium tech features. Love what you’ve read? Then don’t wait. 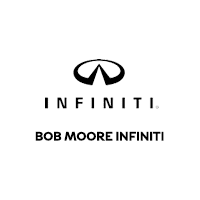 Visit Bob Moore INFINITI today for your 2019 INFINITI QX60 test drive. Not only will you discover all of the great technology features in the INFINITI QX60, but you’ll also discover a shopping experience built around you. Our INFINITI dealer in Oklahoma City has an extensive selection of new 2019 luxury SUVs, including the QX60, for you to choose from at a great price. We also have a premium selection of Certified Pre-Owned INFINITIs as well as quality pre-owned cars, trucks, and SUVs. Come see why Oklahoma City drivers prefer Bob Moore INFINITI to the competition. Our INFINITI dealer is proud to serve drivers from Edmond, Oklahoma City and the surrounding areas.